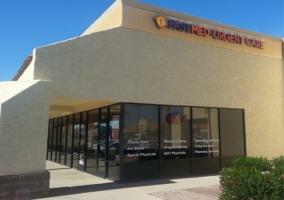 Welcome to FastMed Urgent Care in Scottsdale, AZ. We have two locations in Scottsdale and another 20-plus locations within a 25-mile radius. Wherever you are, you can find a FastMed Urgent Care in Scottsdale or the surrounding area. Just type in your zip code to see which location best suits you. 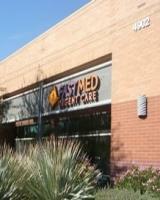 Scottsdale FastMed locations are open 365 days of the year, and walk-ins are always welcome. We test, diagnose, and treat common conditions like bronchitis, the flu, or strep throat, as well as cuts and lacerations or minor injuries. We also do DOT physicals, provide occupational health services, and offer other high-quality health care services. FastMed Urgent Care in Scottsdale, AZ, takes most major insurance plans and offers a discount plan to help families without insurance manage the cost of their healthcare. We provide top-quality immediate care for conditions that cause discomfort but don’t require emergency intervention. We perform physicals, conduct EKGs, take x-rays, and have a lab on the premises for fast and accurate test results. If you’re not feeling well, please come by and see us. No appointment is necessary.